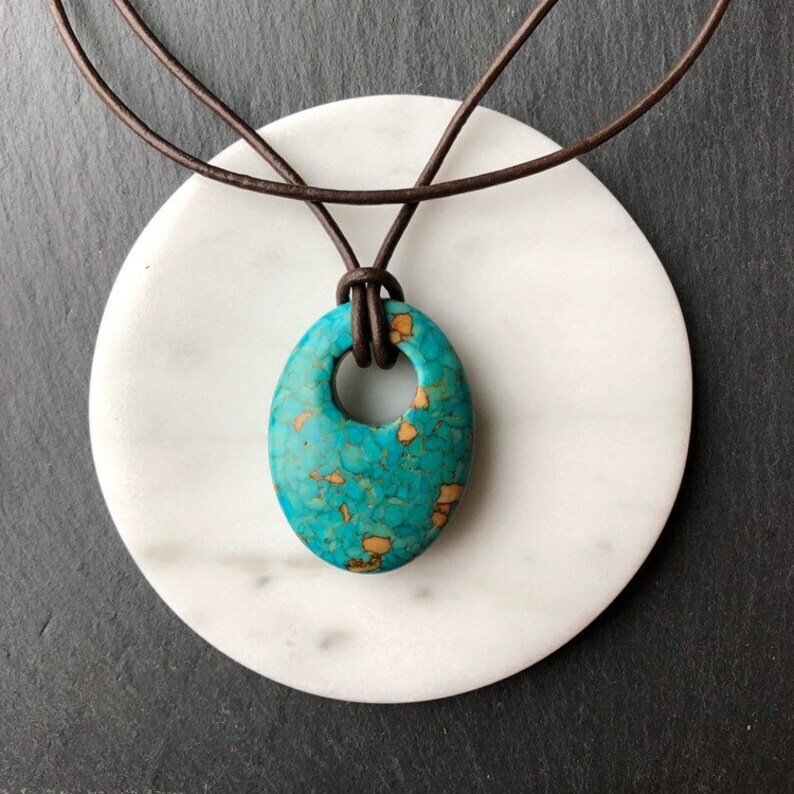 Turquoise necklace with layered leather. Chocolate brown leather cording is looped through a unique oval shaped turquoise pendant (1.5 inch). A second strand gives it a boho chic layered vibe. 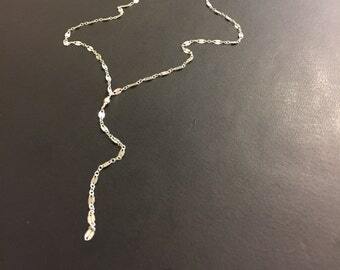 This necklace is adjustable by 2 inches with sterling silver chain and a lobster clasp closure in the back. Please select the shortest length you’d prefer in the drop down menu. 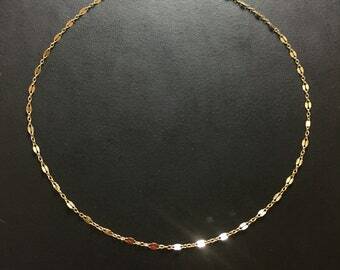 (For example, if you’d like the necklace to be adjustable from 14.5 to 16.5 inch, order a 14.5 inch necklace). Love them! They go with so many things! A bit bigger than anticipated but still lovely.